npa0527haub2: Singles: News-Editorial: Award-Winning Evansville Photographer: Molly Bartels specializing in editorial, wedding and art photography in Evansville, Indiana. 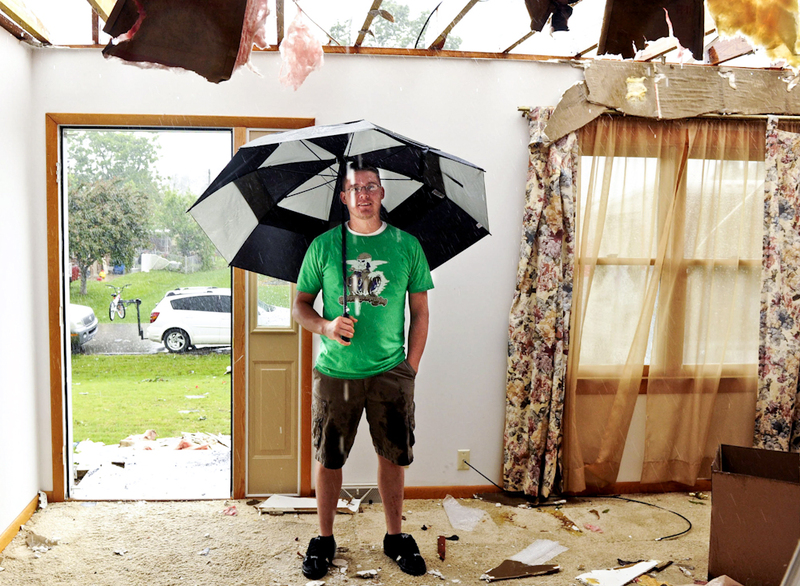 Wes Mofield tries to stay dry as he stands in his grandmother's living room at 106 S. Weber Drive in Haubstadt, Ind. Family members believe a tornado hit the home when a line of severe storms blew through the area the night before.